Dry spirulina contains about 60% (51-71%) of proteins. It means a complete protein content, that is comprising all the essential amino acids. In the usual appointment with the Biologic Market that traditionally takes place every last Sunday of the month in Dolceacqua, there is a novelty, the sale of natural Spirulina. Thanks to a new entrepreneurial activity that was born in Dolceacqua on the farm "Nuccio Garoscio", which transforms part of its primary activity in the natural production of Spirulina. Spirulina is the generic name of a dried biomass that is obtained from the collection of the so-called spirulina algae. Spirulina is considered by EFSA as a food ingredient and can be included in food supplements, in food products or used in purity for use in the kitchen or in cosmetics. Dry spirulina contains about 60% (51-71%) of proteins. It is a complete protein content, that is, including all the essential amino acids, even though the content in methionine, cysteine ​​and lysine is substantially lower than in the proteins of meat, eggs and milk. The lipid content of spirulina is about 7% by weight. 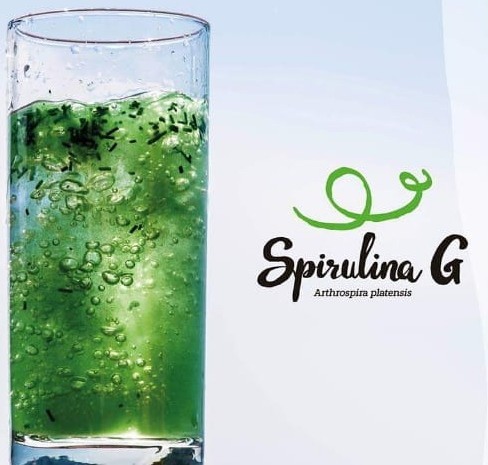 Spirulina is rich in gamma-linolenic acid (GLA) and also provides alpha-linolenic acid (ALA), linoleic acid (LA), stearidonic acid (SDA), eicosapentaenoic acid (EPA), docosahexaenoic acid (DHA) and arachidonic acid ( AA). Spirulina also contains vitamins B1 (thiamin), B2 (riboflavin), B3 (nicotinamide), B6 ​​(pyridoxine), B9 (folic acid), vitamin C, vitamin D, vitamin A and vitamin E. It is also a source of potassium, calcium, chromium, copper, iron, magnesium, manganese, phosphorus, selenium, sodium and zinc. Spirulina finally contains many pigments that can be beneficial, including beta-carotene, zeaxanthin, chlorophyll-a, xanthophyll, echinenone, myxoxanthophyll, cantaxanthin, diatoxanthin, 3'-hydroxyechinenone, beta-criptoxanthin and oscillaxanthin, plus ficobiliproteins c -phycocyanin and allophycocyani.